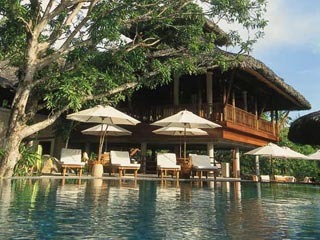 3 Hotels found in Seychelles! Open: March- October... Situated on one of the most beautiful beaches on the island of Mahé, overlooking the marine national park of Port Launay, Constance Ephélia Resort enjoys a unique location set within 120 hectares of land with luxuriant and rare vegetation. Open All Year... The Lémuria Resort, a 5-star deluxe resort with an 18-hole championship golf course opened on 1st December 1999. 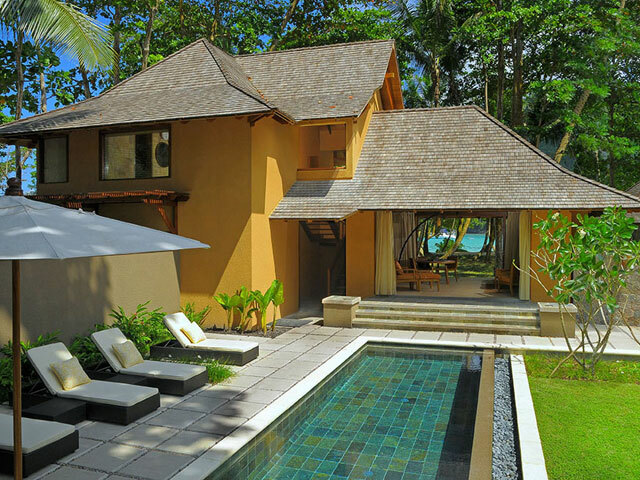 The hotel was designed to meet the increasing demand from international travelers for a five star destination in the Seychelles. 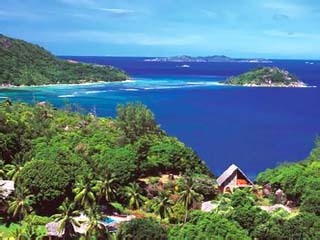 Open All Year... On 5 hectares of land, Château de Feuilles is situated on the magnificent island of Praslin only 15 minutes from its main airport and 5 minutes from the jetty.